This is the day that the Lord has made ! 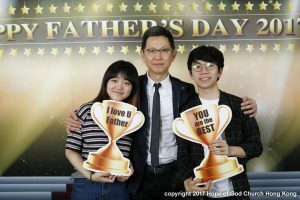 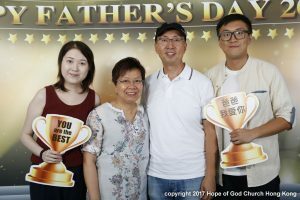 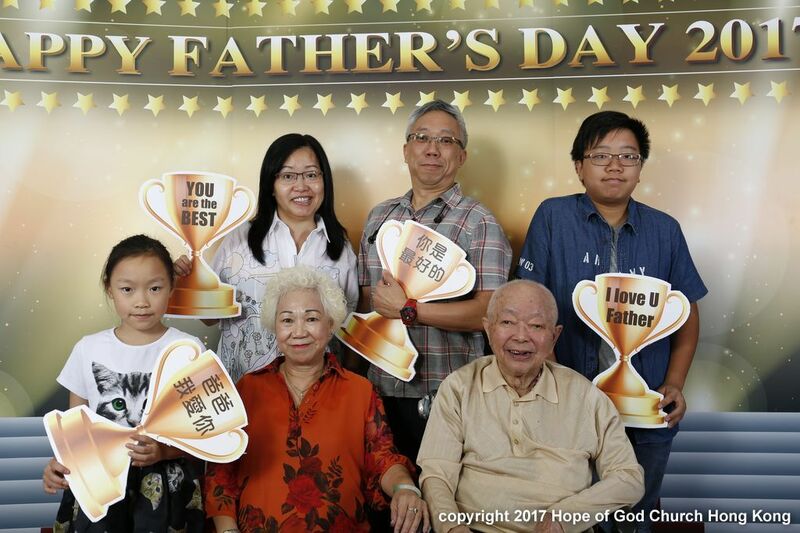 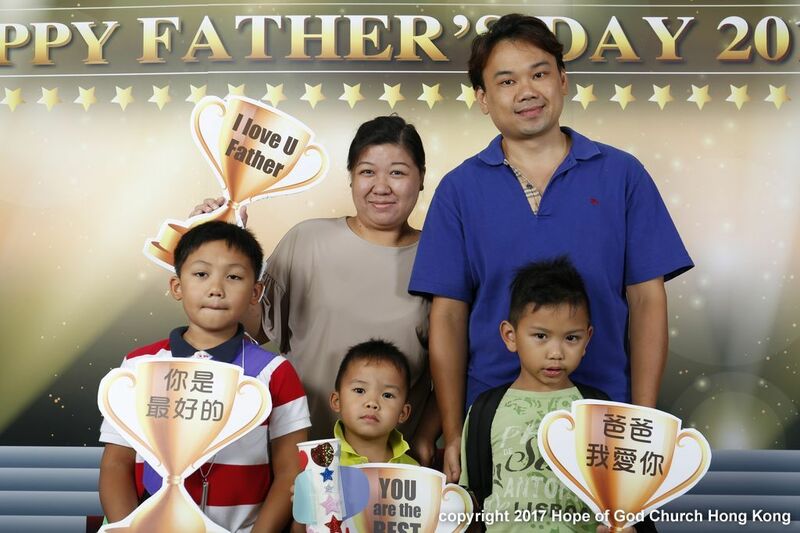 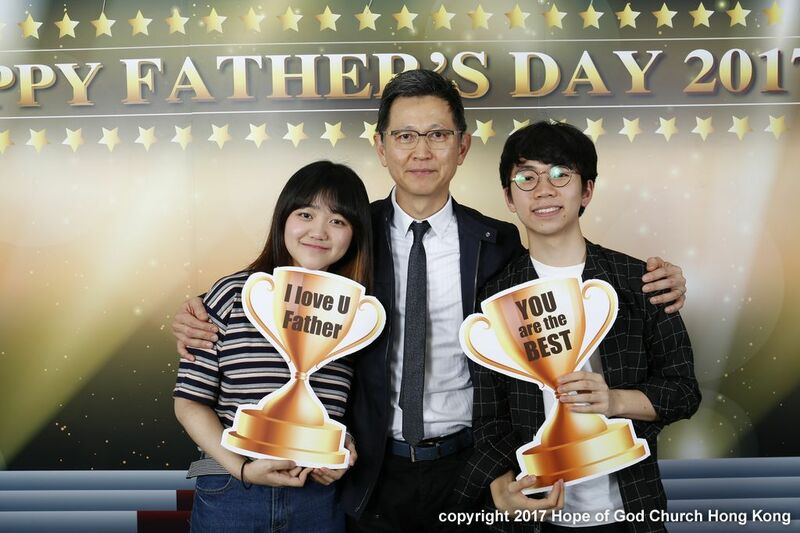 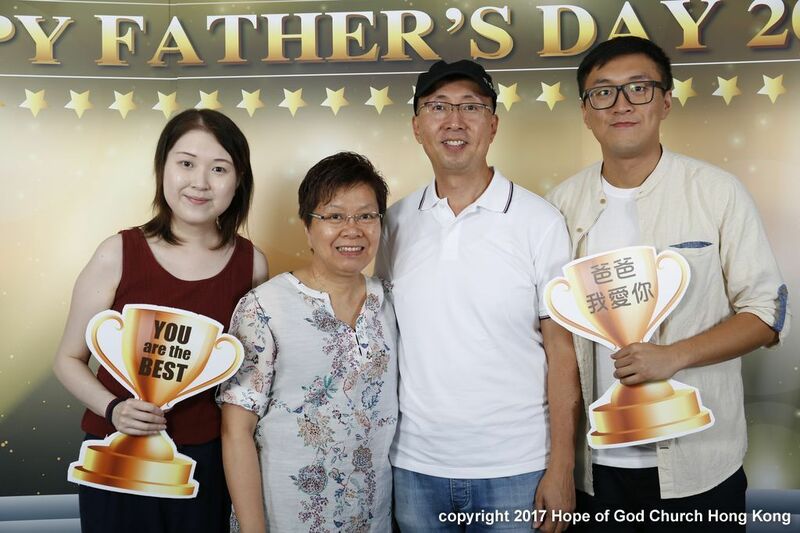 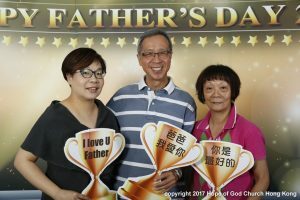 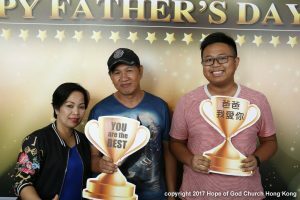 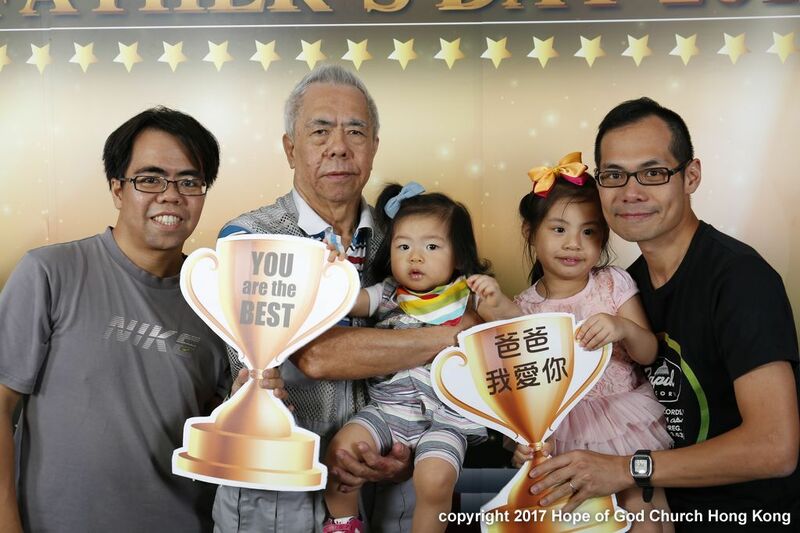 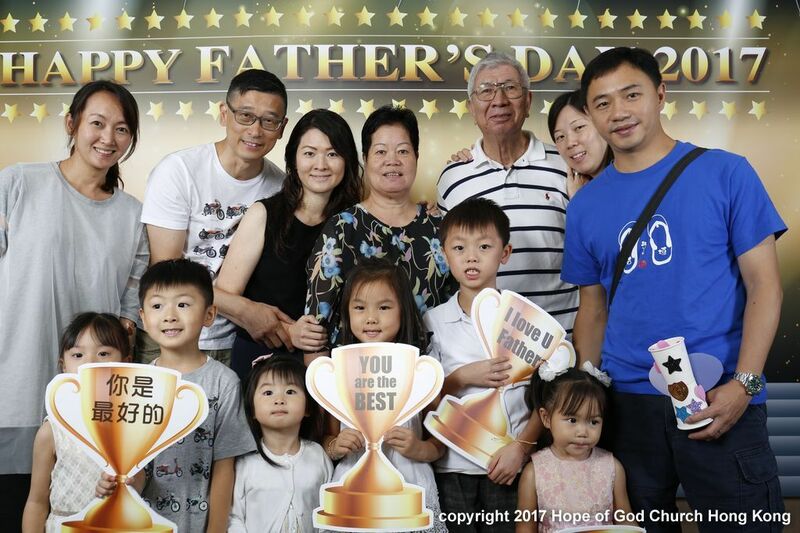 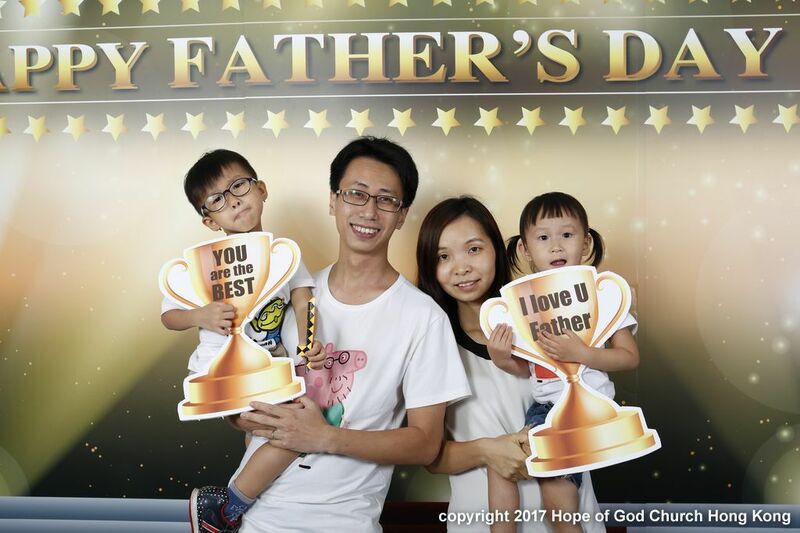 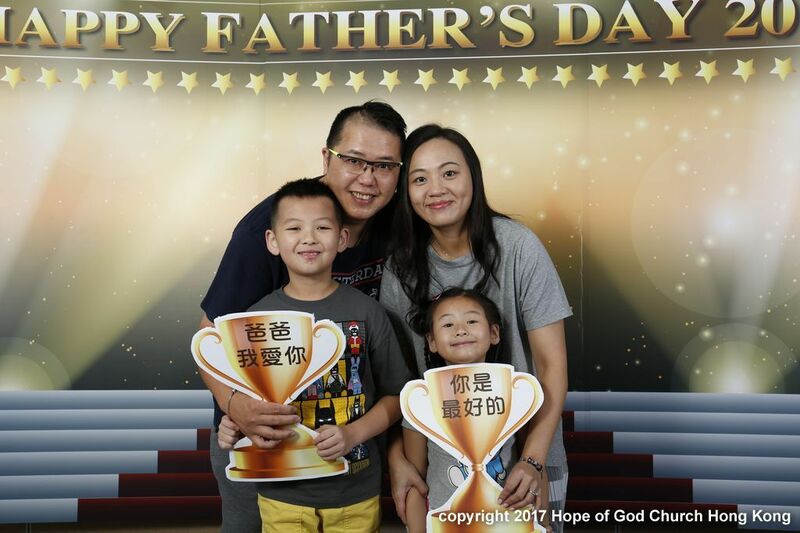 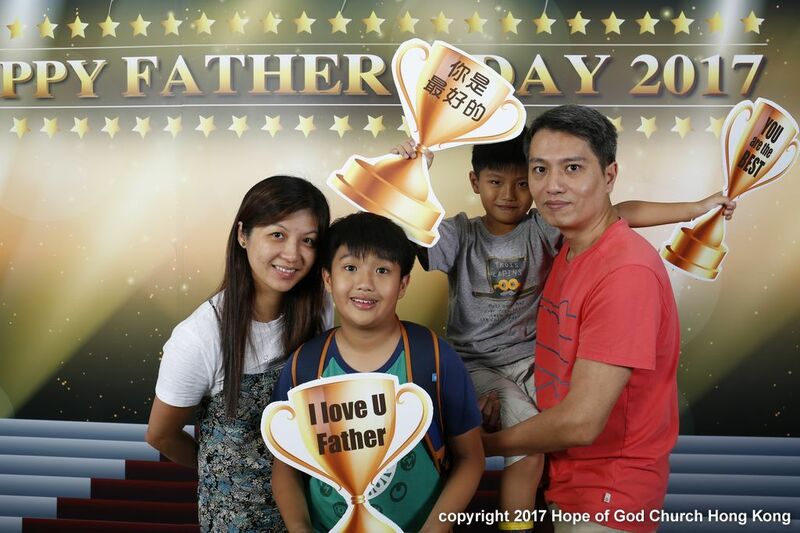 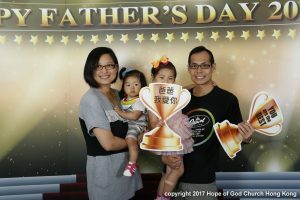 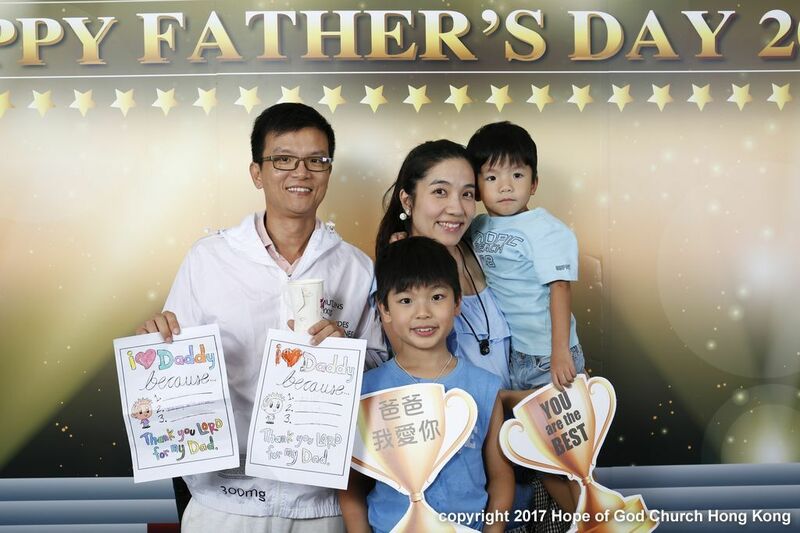 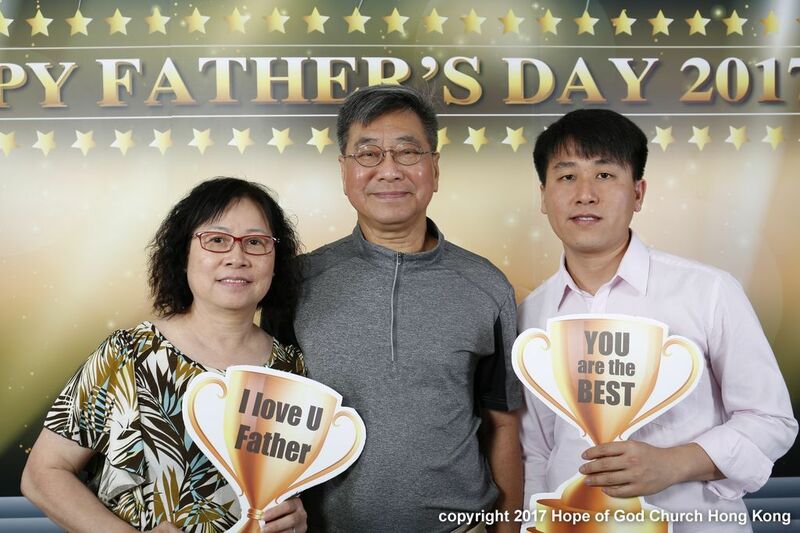 A bright photo corner was set up and in the morning of the Father’s Day, a group of brothers and sisters came early with joy to serve other families by capturing the happy moments with their dads. 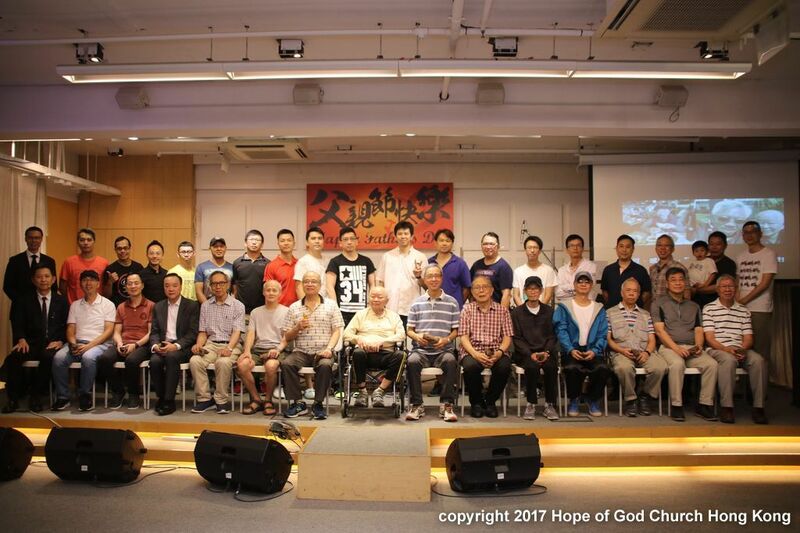 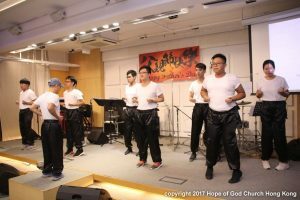 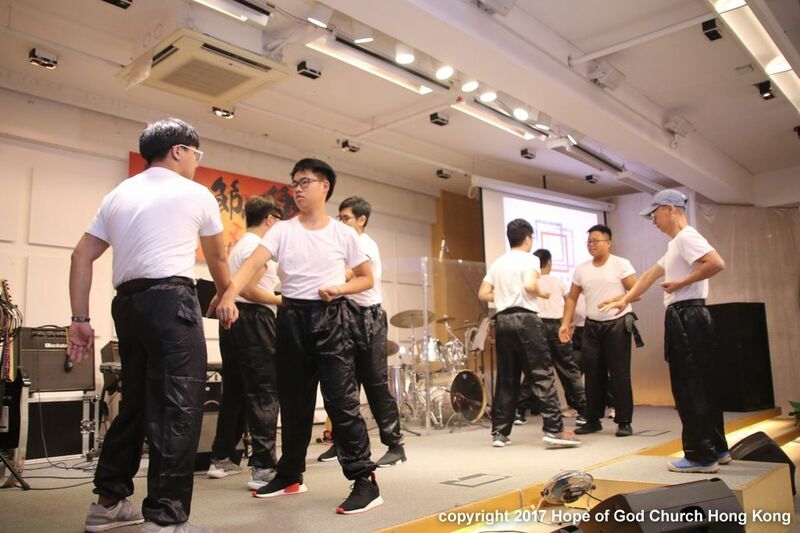 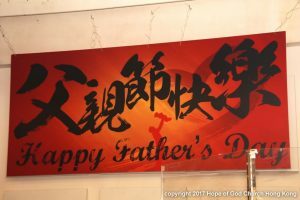 Brothers and sisters performed a special programme – “Kung Fu”, it brought out the image of all the fathers – strong and secure. 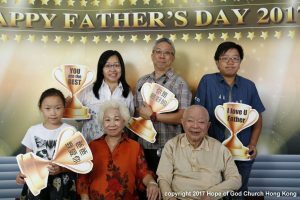 The fathers were admired for everything they did for their children while a video showed the sweet and lovely pictures of our brothers and sisters with their dads. 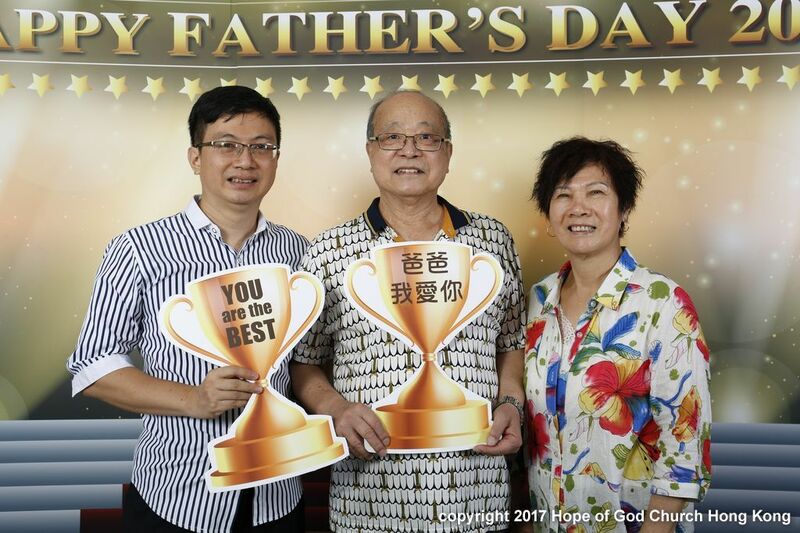 To appreciate all the fathers, they were invited to the stage to accept a massage gift and Pastor Gavin prayed with Psalm 23 for God’s blessings and honored all the dads. 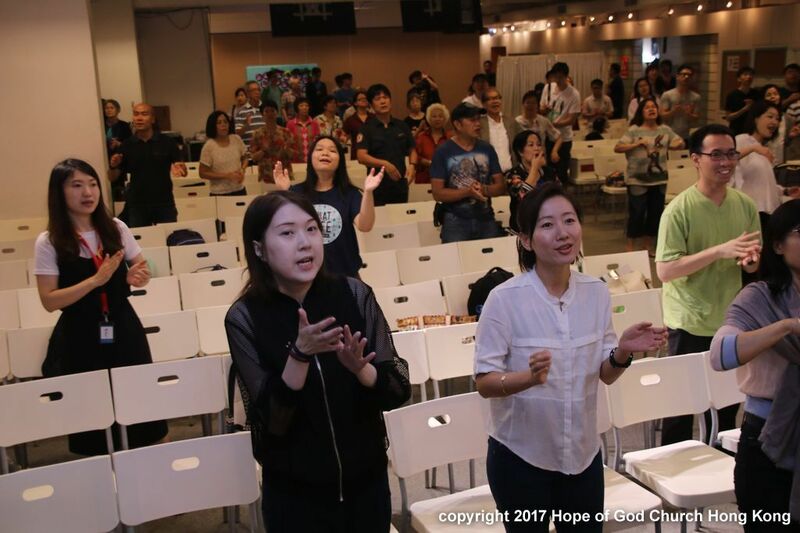 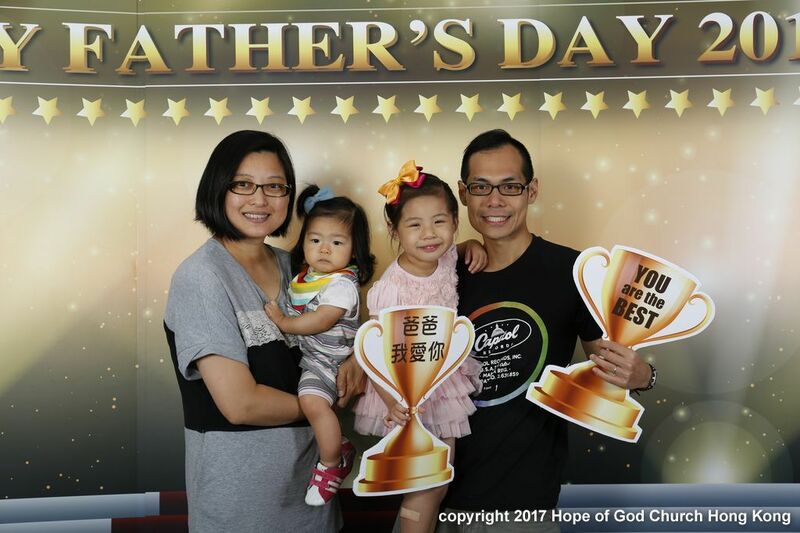 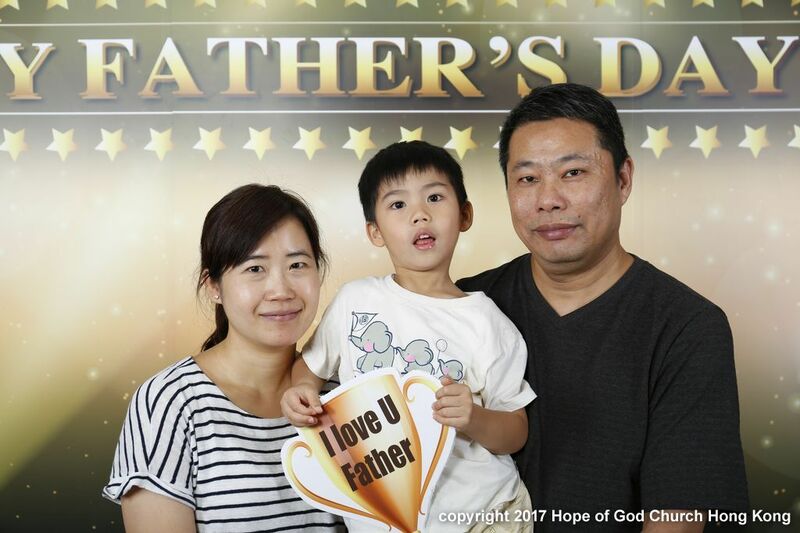 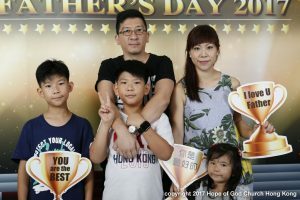 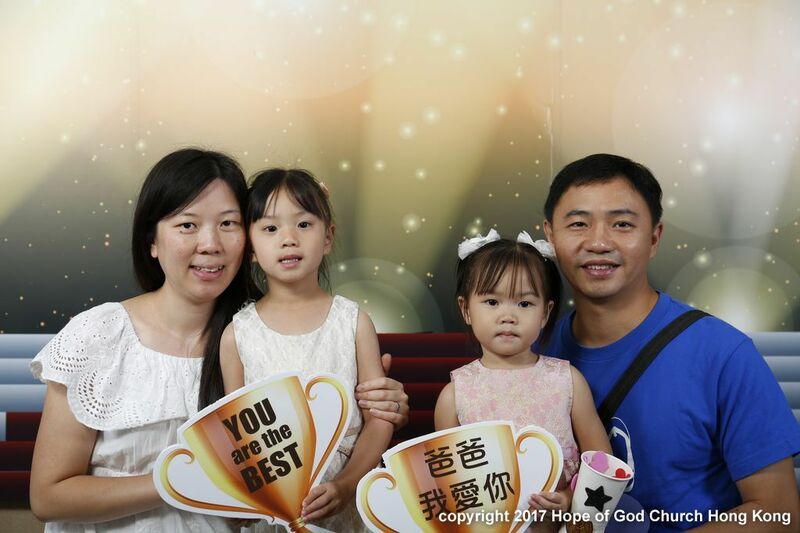 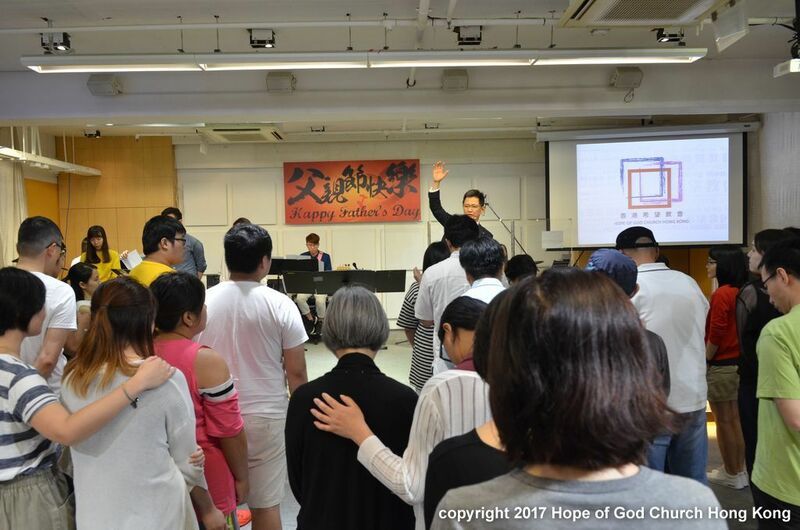 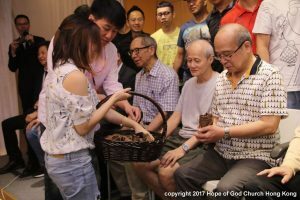 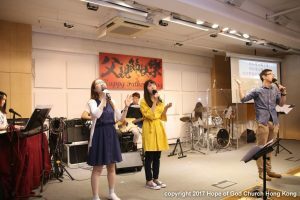 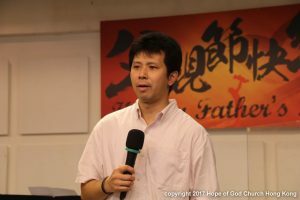 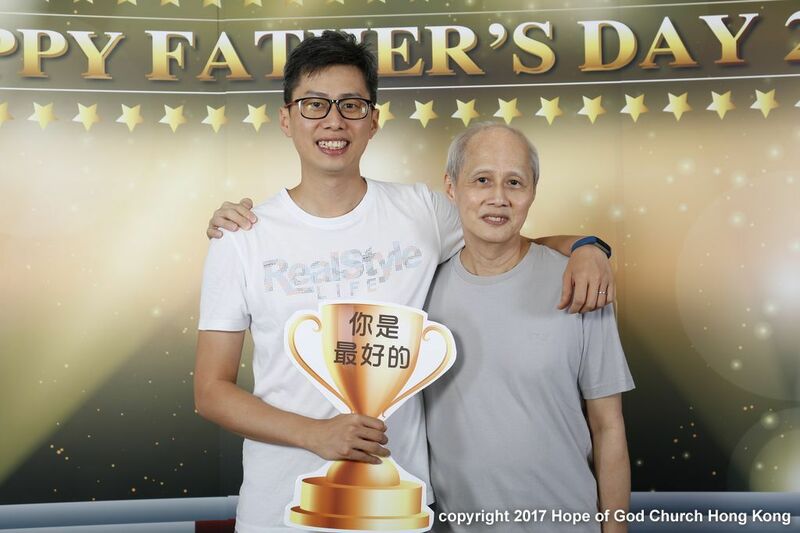 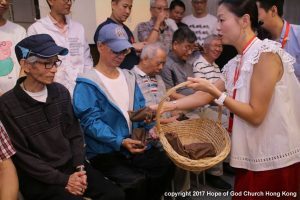 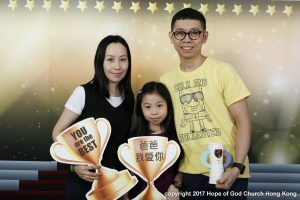 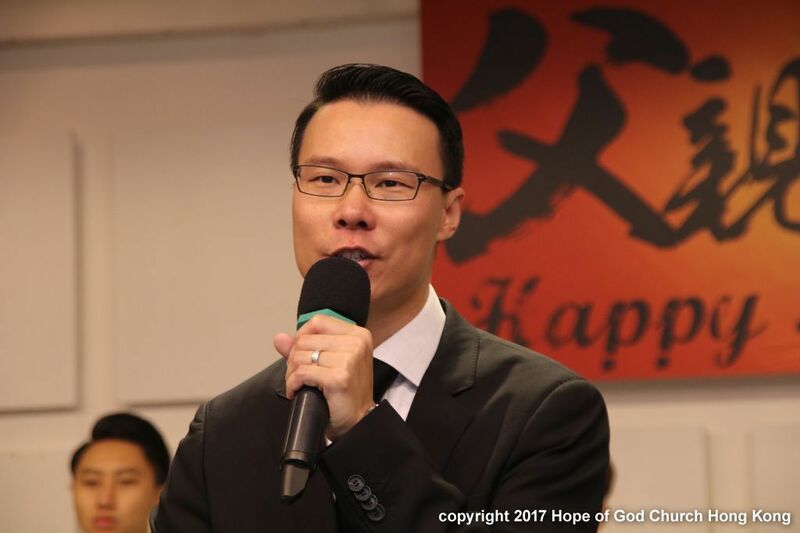 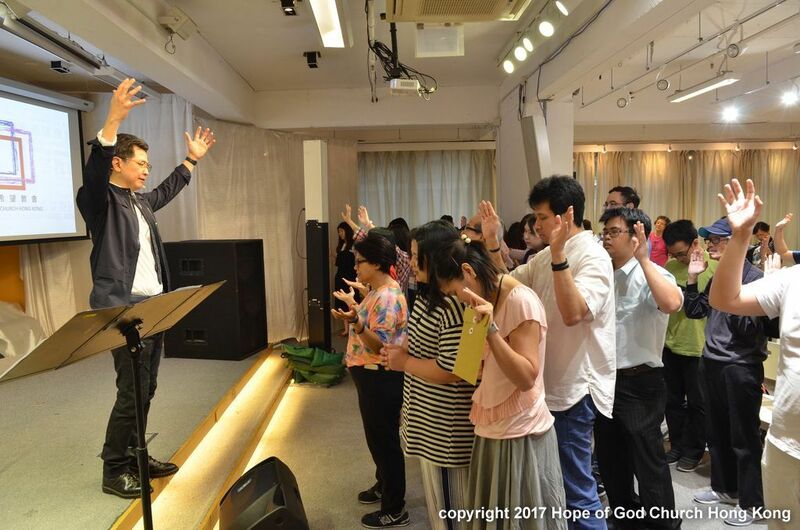 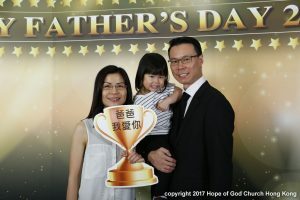 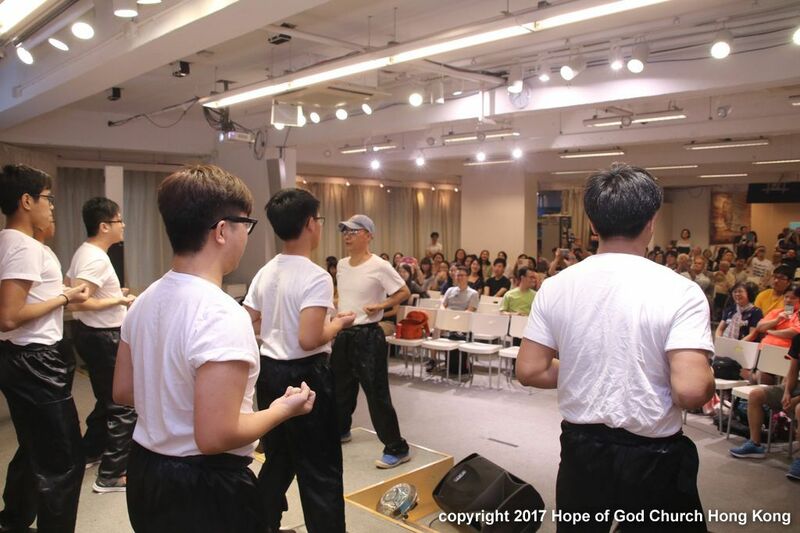 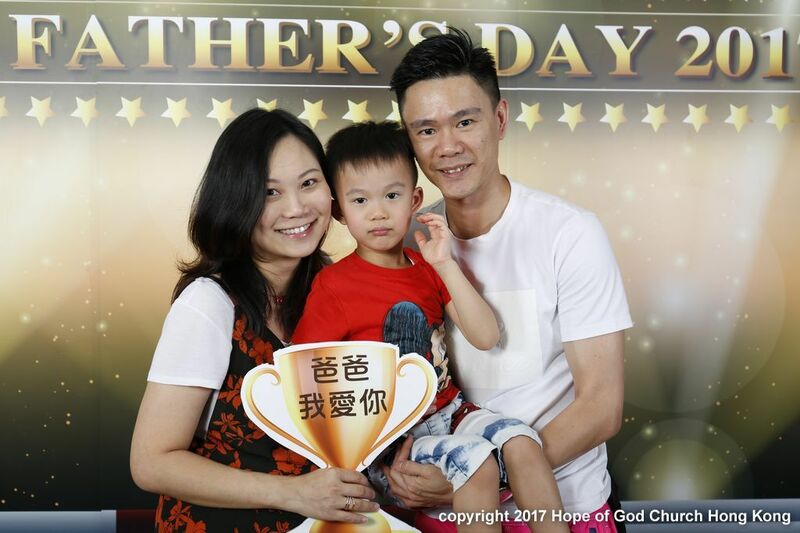 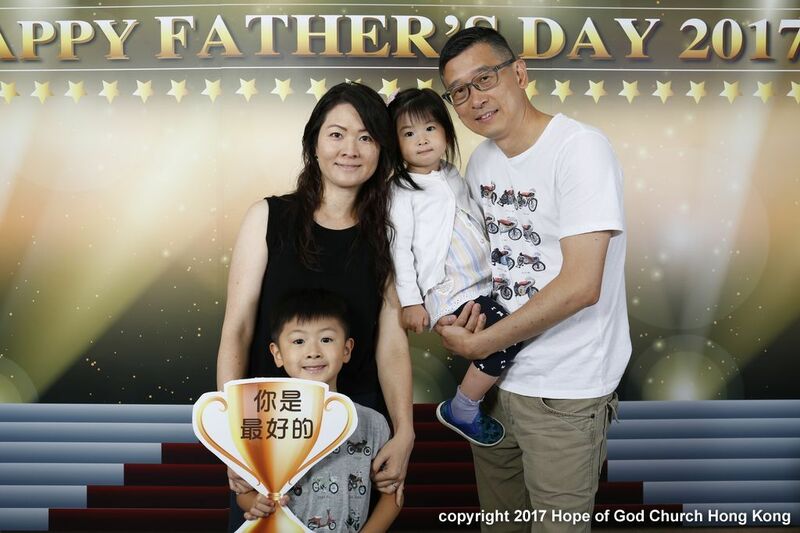 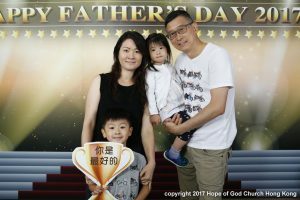 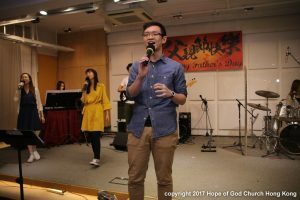 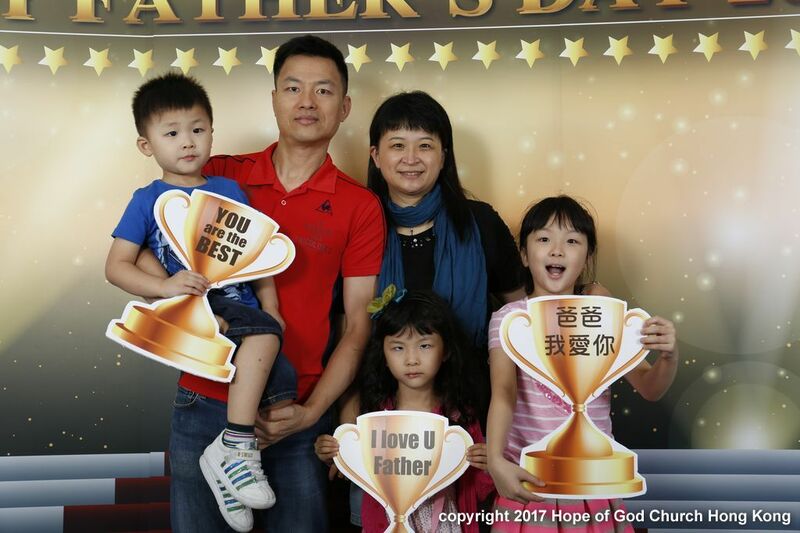 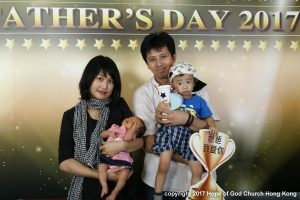 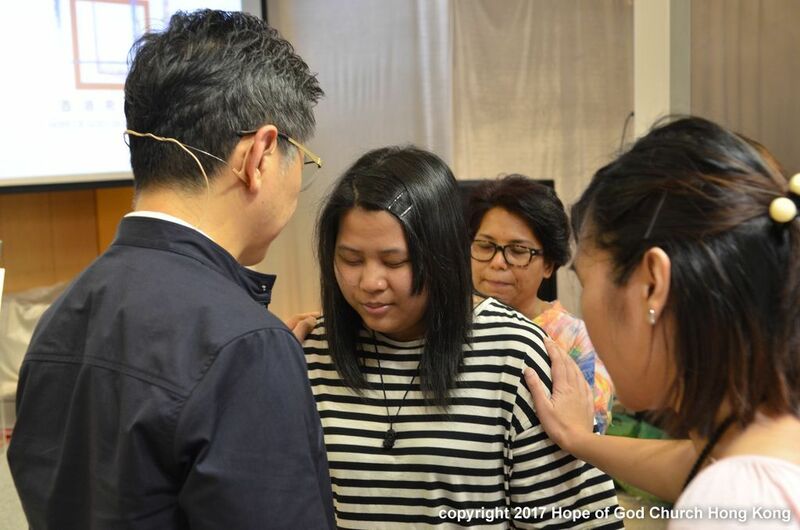 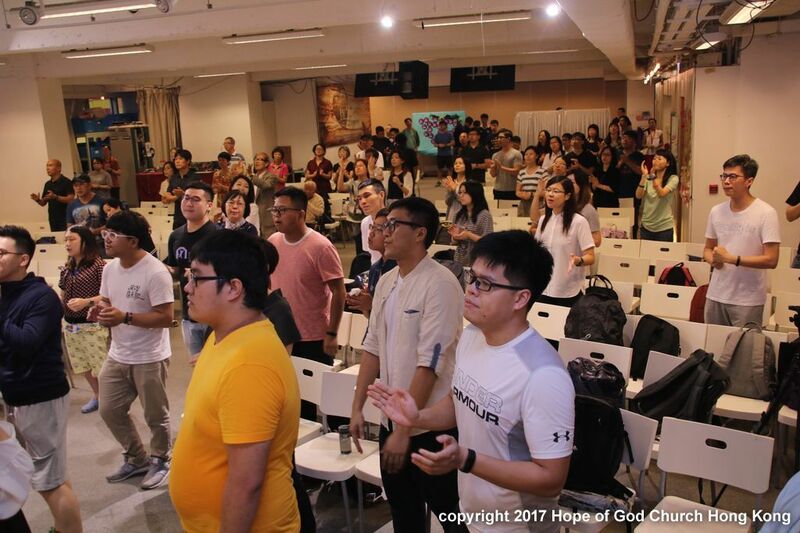 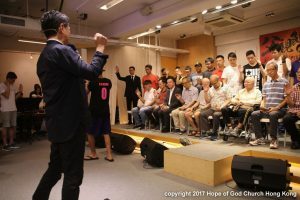 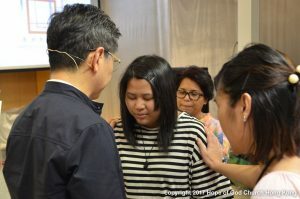 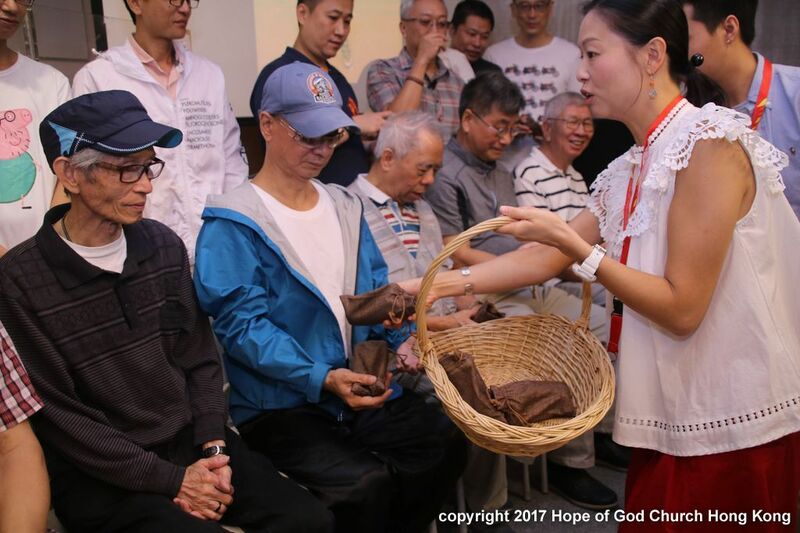 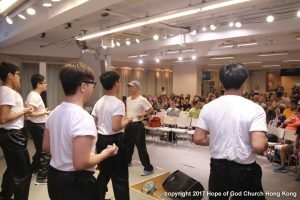 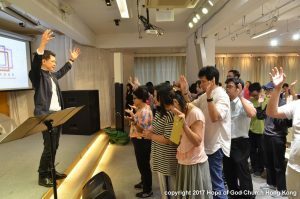 In the testimony of brother Kin Wai, he testified God’s goodness to bless him with the second kid, a daughter, who was born last week. He shared that he learnt how to be a father by following our Heavenly Father. He especially appreciated his mother’s love and protection though his father was gone in his young days. 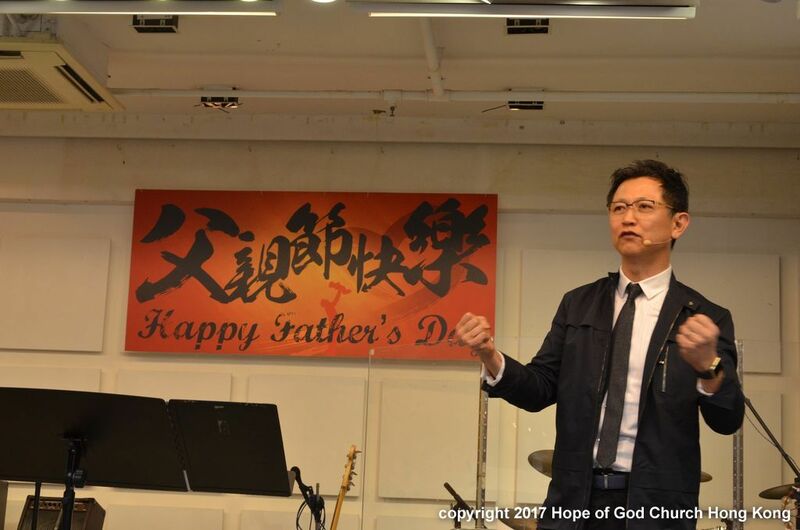 Pastor Gavin preached the bible verses of Psalm 61:3-4, “For You have been a shelter for me, a strong tower from the enemy. 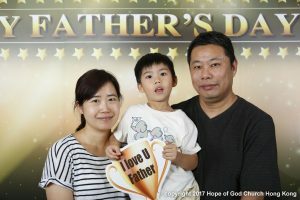 I will abide in your tabernacle forever; I will trust in the shelter of your wings.” He also reaffirmed the 5 names of our Heavenly Father and reassured God is our shelter and strong tower. He then shared with us when we walk in an intimate relationship with God we are abide in His Protection. 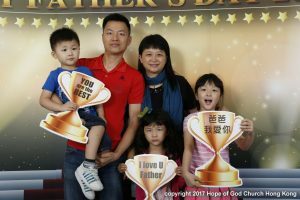 After the service many children and dads kept jumping for joy to take pictures at the photo corner and enjoyed the light refreshment served. 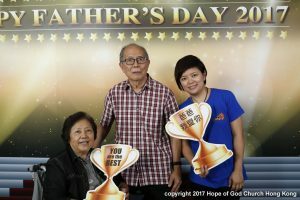 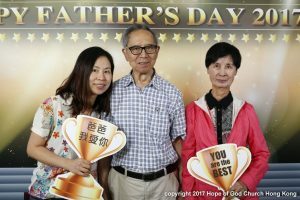 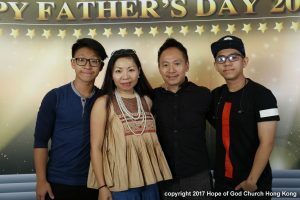 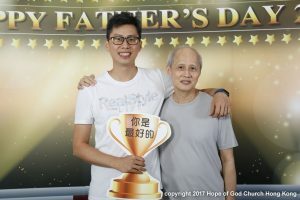 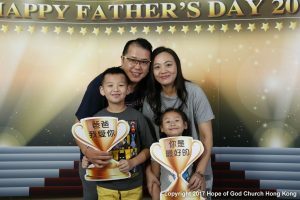 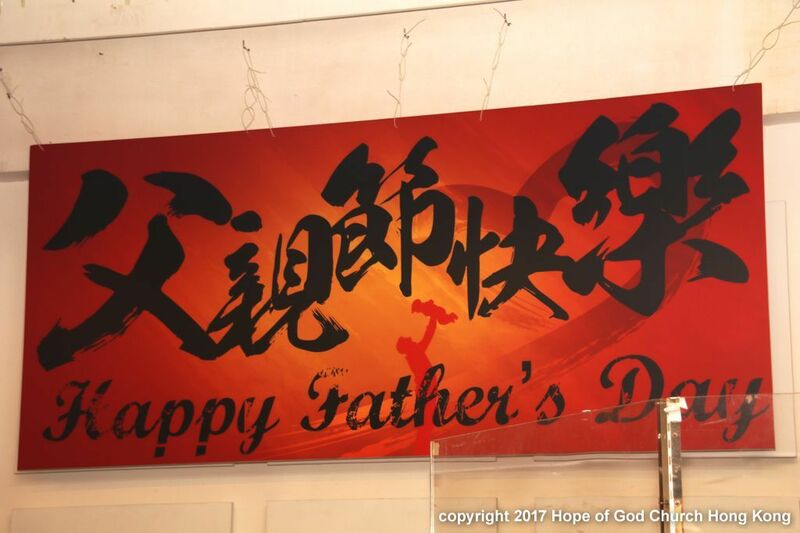 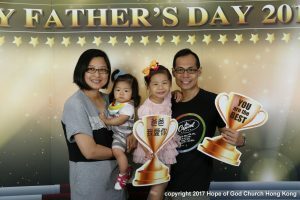 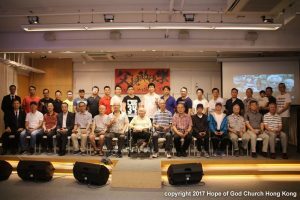 Praise God for a wonderful time to express gratitude towards all the fathers and had a good time with them.